As you know the Nokia N9 sports NFC – Near Field Communication. This was demoed at the presentation with the Play 360 NFC speakers. 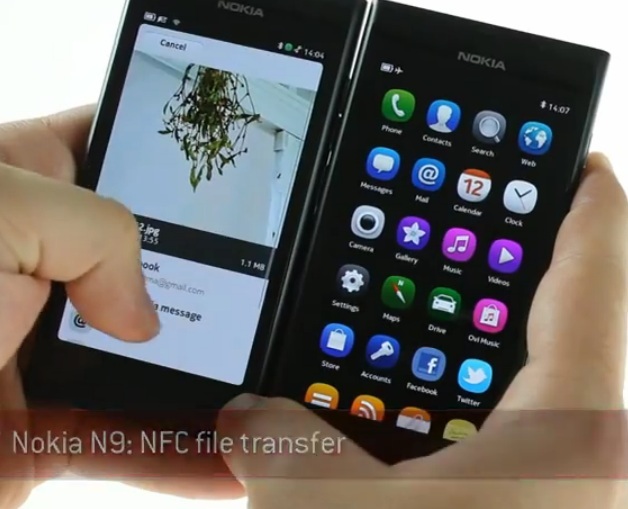 GSM Arena has another N9 NFC demo showing NFC File Transfer Demo.